Keeping your smile beautiful and bright requires regular dental care. Over time, our teeth can become damaged by decay, trauma, gum disease, or even the arrival of wisdom teeth. When events like this occur, extracting the tooth may be the best route for protecting and preserving your smile. In today’s blog, your Des Moines dentist, Dr. Jessica Johnson, uses a fun and informative quiz to explain when dental extraction may be necessary and what Valley Ridge Family Dental can do to restore your smile. 1. True or False: Removing a tooth may help preserve surrounding teeth. 2. True or False: Routine dental care may help prevent the need for extraction. 3. True or False: Dr. Johnson can restore missing or extracted teeth. 1. True. 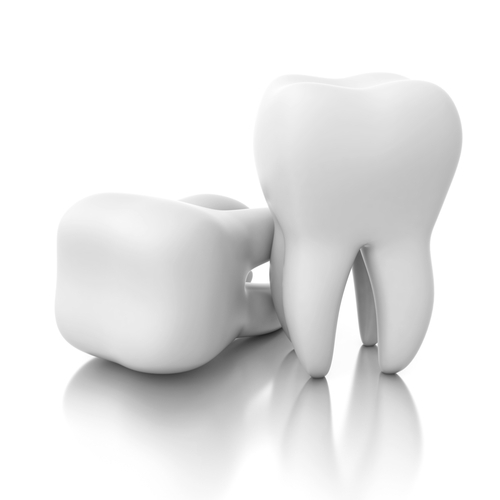 In many cases, a tooth may require removal due to infection. When a tooth becomes infected, a dental abscess can form. In addition to killing the tooth, the infection may spread to surrounding teeth. Extraction helps preserve the health of your smile. 2. True. Two common factors that lead to extraction include advanced tooth decay and gum disease. Fortunately, simple dental maintenance can help keep these issues in check. First, always brush your teeth twice a day and floss once. Then, rinse with an antibacterial mouthwash. This helps cleanse your mouth of the harmful bacteria and stray food particles that often lead to cavities or periodontitis. 3. True. If your tooth has been removed due to decay, injury, or gum disease, Dr. Johnson can replace your tooth. Using cosmetic and restorative procedures such as dental implants and dental bridges, your Des Moines IA general dentist can return your smile to full function and appearance. If you have any more questions or concerns regarding tooth removal, please contact your Des Moines IA general dentist today. We offer the latest in general, cosmetic, and restorative dentistry. Call our 50266 dentist office at 515-223-9764 for more information. We welcome patients from West Des Moines, Waukee, Clive, and nearby Des Moines metro communities. Des Moines IA Dentist: What Do You Know About Dental Cleanings? This entry was posted	on Tuesday, June 25th, 2013 at 7:22 pm	and is filed under Blog, Cosmetic Dentistry, Dental Implants, Preventive Dentistry, Restorative Dentistry. You can follow any responses to this entry through the RSS 2.0 feed. Responses are currently closed, but you can trackback from your own site.